Name of the Hotel : Sangu Residential Hotel, Bandarban. 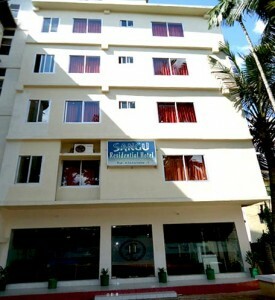 Address of Hotel : Sangu Residential Hotel, Don Bosco High School Road, Jadi Para, Bandarban, Chittagong, Bangladesh. Rent of Room : Price range of Hotel Sangu is approximately Tk. 700-6000/- (BDT). Sangu Residential Hotel is situated at Don Bosco High School Road Jadipara, Bandarban Sadar in Bangladesh. 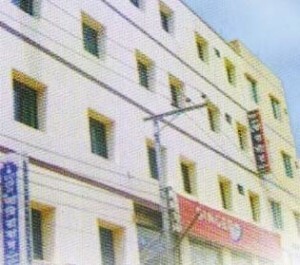 There are two building of Hotel Sangu. New building is 5 storey. Total 30 number of rooms in this hotel. There are 62 seats in new building and 20 seats in old building of Hotel Sangu. Every room is well decorated and there are different types of rooms in this hotel for the visitors or travelers. At the 4th floor of new building there is conference room and in the 5th floor there is a nice looking Roof Garden. There are AC and Non AC room facilities in this hotel. 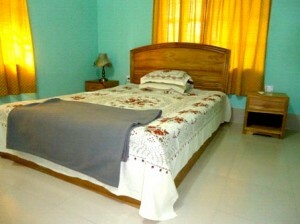 Royal Suite, Super Deluxe, Couple Bed, Twin Bed and Single Bed rooms are Air Conditioned. Non AC rooms are Single, Couple, Twin etc. There is a well-decorated Non AC Conference Room with the capacity of 40-60 people. Hotel Sangu has their own restaurant and they provide delicious dishes. They can serve 40-100 people at a time. There are also car parking facilities in Hotel Sangu. Total 10 cars can be parked. Check in time is at 11:30am and checkout time from hotel Sangu is at 12:00pm. Name of Hotel: Hotel Four Star. 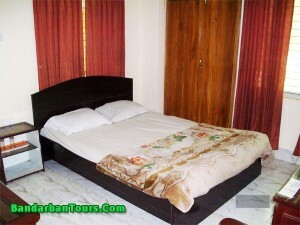 Address of Hotel: Hotel Four Star, Bandarban, Chittagong, Bangladesh. 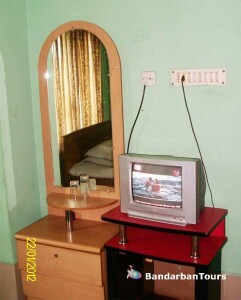 Rent of Room: Rent range of Hotel Four Star is approximately Tk. 500-2250 (BDT). 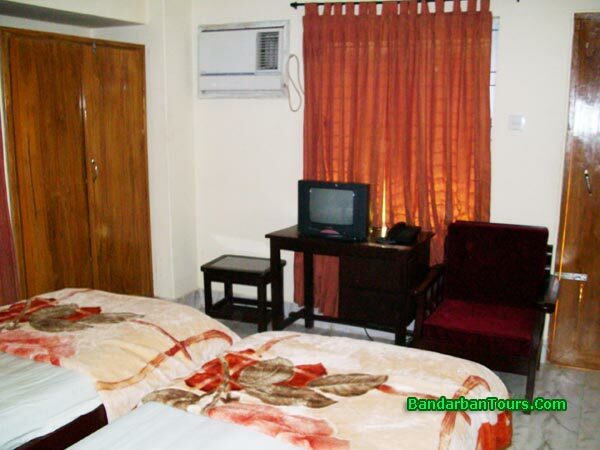 Hotel Four Star is situated at Bandarban Sadar in Bandarban. The location of Hotel Four Star is very near to Shoilo Propat. Traveler can go there by rickshaw. Though the rate of room of this hotel is little bit expensive but the hospitality of this hotel is simply nice. 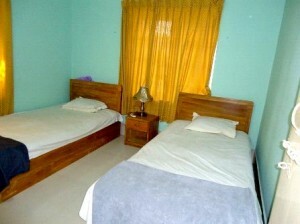 There is single bed, double bed, triple bed, 4 bed and couple bed facilities in this hotel. Starting price of a single room in this hotel is around Tk. 450 (BDT). Within Tk. 450-2250 (BDT) traveler can get a room according to his choice. Traveler can bargain in the off season but in the main season it will be little difficult to reduce the price from the hotel authority. In off season traveler will get 100 taka (BDT) discount only for AC rooms. Hotel Four Star authorities are able to manage food and other facilities. Checkin and checkout time from hotel four star is at 12:00 pm. 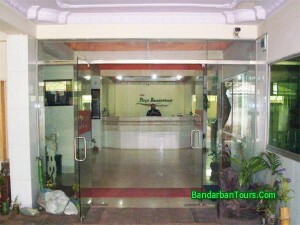 For Hotel Booking you can contact with us via email: info@bandarbantours.com or phone. @ +88 01856699910, +88 01856699911 (2pm-10pm).